Media mogul Oprah Winfrey is endorsing Stacey Abrams. 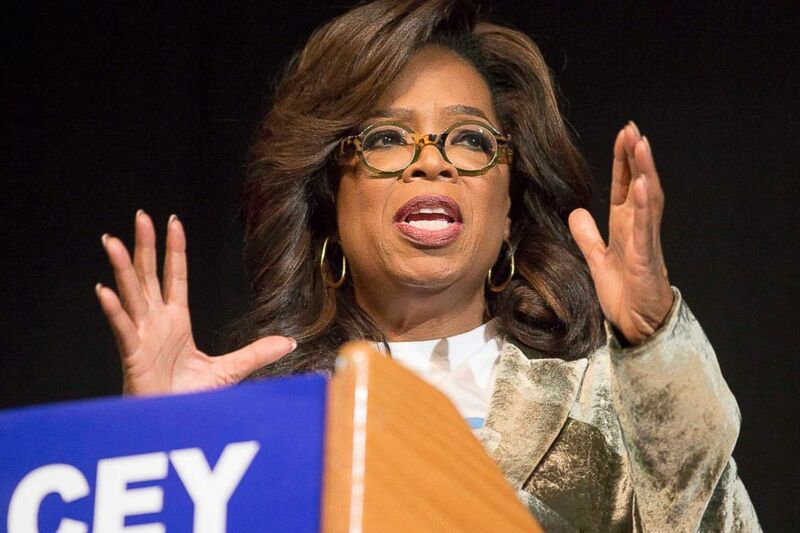 This is only the second time Oprah has publicly campaigned for a major candidate. Oprah has been a part-time @cbsnews contributor for @60minutes, but shes stepping away from that role while she campaigns. Declaring herself inspired to rally behind the "bold and bodacious" Stacey Abrams, Oprah Winfrey jumped into the 2018 midterm elections today, saying she wanted to be part of the historic campaign. The Georgia governor's race has gained national attention because of extreme ideological differences between Abrams and Kemp as well as allegations of voter suppression. A new NBC News/Marist College poll shows that Abrams and Kemp are virtually tied in the Georgia gubernatorial race, with Kemp leading Abrams among likely voters 46 percent to 45 percent. 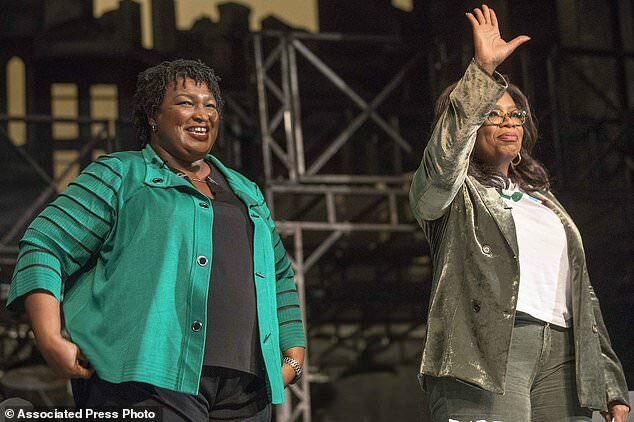 - Media mogul Oprah Winfrey was in metro Atlanta on Thursday stumping for Georgia Democratic gubernatorial candidate Stacey Abrams. Oprah described Abrams as dynamic, inspiring, bold and bodacious. 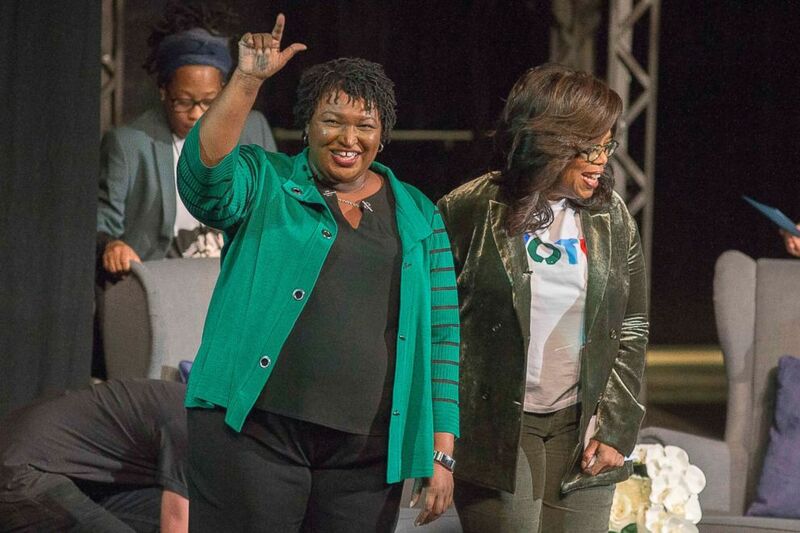 "You keep standing strong for the values that matter to me and the values that matter to Georgians all over this state," Oprah told Abrams during the rally. At a separate rally for Abrams' Republican opponent in Georgia, Brian Kemp, Vice President Mike Pence alluded to the Winfrey event and suggested it wasn't appropriate for the state's voters. Oprah is trying to help Abrams become the country’s first black female governor. At the Abrams rally, Winfrey stressed that supporting the campaign was her idea.